I too have trouble with some sempervivums as I have damp areas with lots of mulch which they don't like too much. They are very good for sucking up moisture as they are succulents. I use them by the roadside to crowd out any self seeding weeds and grasses and they flower nicely and soak up heat from the pavement on hot days and they like this. Could you post some pics of your plants? Did people know that the Xmas poinsetta is a sempervivum? I listen to the podcast magicgarden which you can download or phone in with questions. And it was said that these plants are great starters for children because, like cactuses, they are easy to grow and teach children the fun of gardening. Here's the link to the podcast, but you can download it or listen on your internet. 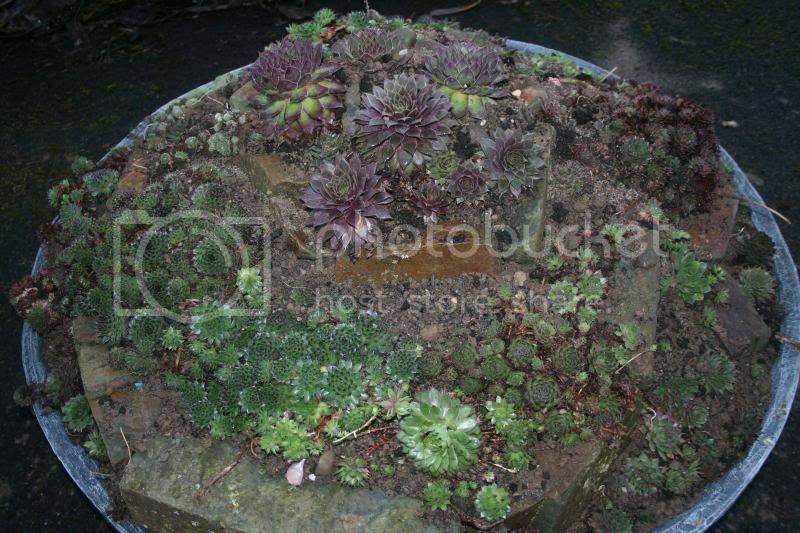 Planted up some Sempervivums today in a 1 metre circular trough.